If you have a child in your family who is in Grade 1 right now, you might have noticed that they are taught with the local dialect. This is called Mother Tongue-Based (MTB) Learning. 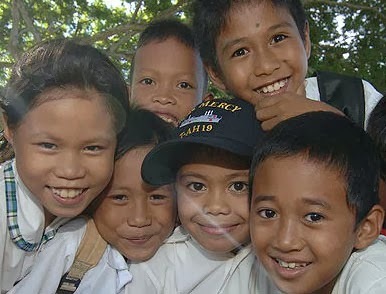 For example, children are taught to count in Bisaya here in Ormoc City. Colors and name of common objects are also taught in Bisaya. One problem that I see with this approach is the nature of our local dialects. According to UNESCO, the first phase in MTB Learning is when learning takes place entirely in the child's home language. However, something different happens within the classroom. For example, instead of saying the number 50 as singkwenta, children are taught that it should be kalim-an. According to Omniglot, singkwenta is the Spanish derived version of 50 while kalim-an is the native Bisaya term for the number. This confuses the learner because nobody (as far as I know) here in Ormoc uses kalim-an to refer to 50. It doesn't follow with the objectives of MBT Learning. In other places, the situation might be worse. Children speaking a particular dialect might be taught with another dialect because the Department of Education only considers 19 dialects in its MTB Learning program. If DepEd will use all dialects in the Philippines, the cost of preparing teaching materials like books will be prohibitive. In light of this issue, teachers should consider the true mother tongue of his or her pupils. MTB Learning aims to put the learner at the center of learning, not the proper use of language. What do you think should teachers and the Department of Education do to solve this problem? I totally agree with you. Uno, dos, tres... is better (and more romantic) than isa, duha, tulo. What are the other solutions when it regards to this matter?